The Salvation Army Luncheon is a long standing tradition of our club. Every Christmas we organize a lunch and invite the best and brightest from the Trenton community to come and sit with us. We enjoy a good meal together, enjoy some Christmas cheer, laugh and smile together and then we get down to business and that business is the business of raising money. We organize an auction and conduct draws throughout the luncheon to raise money to help our local Salvation Army provide food to struggling families at Christmas time. Every child and adult deserves a holiday dinner and every member of our community deserves to enjoy themselves during the holidays. 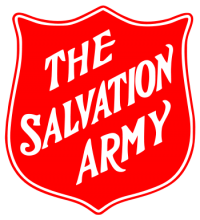 Our mission is to raise as absolutely much as possible to help the Salvation Army deliver in their good work. Over the years we’ve done various things to “up the ante” including shaving the head of our Past President John Lewis to raise the bar that much higher. In 2011 we raised over $80,000 entirely for the Salvation Army over lunch. That, my friends, is a Christmas miracle! The Kiwanis Club of Trenton has been a long-time partner of the Quinte West Chamber of Commerce in organizing and executing this annual tradition for local business. Our role is to provide planning and coordination support alongside the talented staff of the Chamber of Commerce in organizing the event. 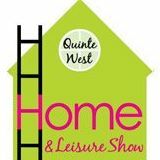 Alongside members of our club we work with board members of the Chamber of the Commerce and the Chamber staff to prepare the media and marketing, the logisitics, the vendors and to spearhead any new initiatives associated with the homeshow that year. It is always a great pleasure to work with the Chamber of Commerce in bringing this show to fruition every year and kicks off our fundraising season. The Walleye World Fishing Derby is our longest running fundraiser and our most complex. For over the past 30 years this fishing derby has grown from its humble roots from one dock and a few hundred participants in the local waters to over 5,000 participants with weigh stations ranging from Brighton to Picton and nearly all the way to Kingston. Each year we plan and deliver this event by coordinating prizes, sponsorships, hats, tickets, media, marketing, and much more with a committee of atleast eight Kiwanians (sometimes more, sometimes less). This event has grown to such a degree that we have an events coordinator who works alongside the chairman in executing this event because of the complexity and number of details involved in its planning. This event is one of the oldest and largest events of its type in North America and is definitely the most technological with online ticketing and a real-time leaderboard displaying results as they happen whether its in Napanee or Trenton. We attract anglers as far away as Oregon and New York state to participate in our season opening event. Its our biggest event and stretches over the first weekend of May every year. All of our members rally around this event and ensure its successful execution every year. 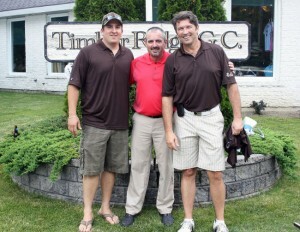 Every June we conduct our Charity Golf Classic at a local golf course to raise money for Camp Trillium, the Trenton Memorial Hospital Foundation, and others. Our golf tournament sees an average of 150 golfers descend on a local golf course to putt and pitch their way to helping these worthwhile causes. Each year our thankless Golf Committee outdoes themselves by securing donations and sponsorships from local companies and individuals to help us raise money to help local organizations. Our Golf Classic is one of the premier tournaments in the region and is only accessible by invitation from other Kiwanians. Many people have stayed and played for nearly every year of the tournament and we thank their ongoing generosity and willingness to come and support us whether they’ve spent the day in the rough or on the fairways because its always a fun time! When of our most fun events is the one where we come together as a club and build our annual Santa Claus Parade float. It is impossible to think of a year where we haven’t entered a float for the parade and its also equally impossible to think of a year where we didn’t win in any of the categories (sometimes more than one!) in the judging. Our club comes together and strikes hammer and nail to build an innovative and exciting float to entertain the smallest citizens of our community in the lead-up to the Christmas season. During the summer months we have an abbreviated meeting schedule and try to plan fun activities for our members and their spouses to participate in. Many of our members graciously open the doors and patios of their homes to entertain our club with good food and good cheer on a regular basis through the summer months. We like to mix up our meeting schedules, especially the winter months, to provide something new and fresh to our members. Every year we try to keep things interesting by having an off-site at a local restaurant like Tomaso’s or Tommy’s or we make a trip out to a winery or we go and visit one of the groups we support like Camp Trillium. Occasionally we receive an invitation from one of our supporters to come and see them like the Hastings and Prince Edward Counties Mutual Aid Association where we learned about fire training (some of us even donned the suits and conducted a rescue!) or to the Frankford Rod and Gun Club where we got a chance to make use of their indoor range. Every fall we conduct our most important celebration: the induction of our new President and the newest Directors to the Board. During this meeting we invite our spouses and family members and the surviving spouses of past members who departed years before to enjoy what it means to be Kiwanis and to see what we’ve been done for the past year. Our outgoing President provides a summary of the past year and extends his thanks to all those members who went above and beyond the call of Kiwanis in supporting the club in their good works.